Welcome to our Show Off Your Stuff Party!! The place where we all get together and SHOW OFF OUR STUFF! My glitter clothespin gift tags! 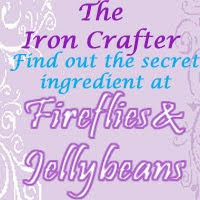 The 7th round of the Iron Crafter: Secret Ingredient- clothespins is going on right now! Come and link up your clothespin projects! Sorry you guys but I listed my projects under the wrong heading. Thanks for hosting! Thanks for hosting. I too didn't realize you had separate areas for different projects. Luckily mine fit in the first one. Thanks for hosting!! I accidentally put my dress under recipes...sorry!! Always love your party, thanks so much! This time of year is just so dang much fun. I adore seeing what everyone is up to.